Home » Company News » DASH for Careers Success – don’t miss out! The event at Blandford School on 2nd April is the second of two Skills Match days organised by Young Enterprise (sponsored by JP Morgan and supported by Young Chamber, East Dorset and Christchurch Council and the Careers and Enterprise Company in Dorset) following the huge success of the first event last Monday (25th March) with c.500 students attending the all-day event at Signature TECHNICAir and many parents and students opting to attend in the evening as well. 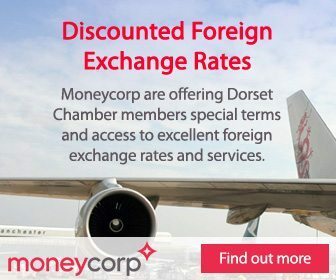 Thanks goes to all the Dorset Chamber members who took part. The second event takes place next week at Blandford School on Tuesday 2nd April and there is still room for businesses to exhibit, especially if they have apprenticeships and training opportunities for young people. 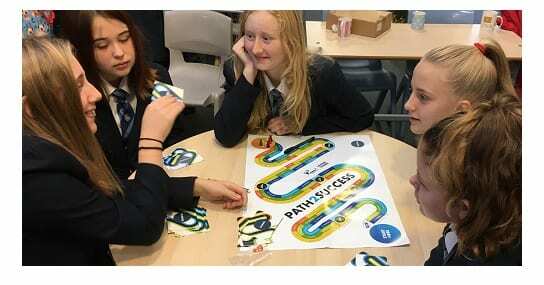 25 schools will have attended across the two events, with the split into ‘skills zones’ representing the attributes young people need when they enter the workplace – Communication, Confidence, Financial Capability, Teamwork, Organisation, Problem Solving, Resilience and Initiative. This is the final part of the 2018/19 DASH (Dorset and South Hampshire) employability programme which, funded by J.P. Morgan, has also included a 12-hour interactive workshop and workplace visits. The purpose of DASH is the raise aspirations of young people and equip them with the skills and knowledge necessary for the local labour market. Visitors will have the chance to talk to a wide variety of businesses offering apprenticeships, with current apprentices on hand to talk to students and parents / guardians about their experiences. Youth organisations are also attending to talk about how they help young people develop these important skills. If you would like to exhibit at the Blandford School event on 2nd April, please email hannah.cook@y-e.org.uk for booking information.